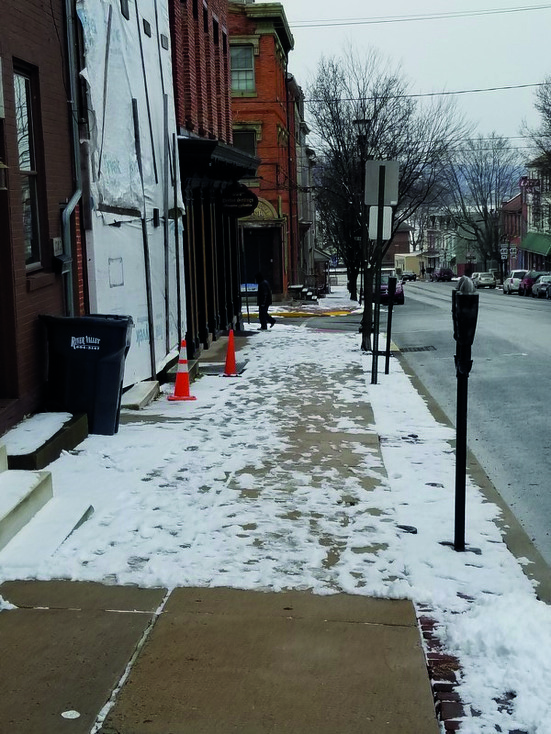 LoLo Sno No Go – Yesterday around 3:30 pm It was only a slight snowfall, but the Lower Locust (LoLo) Street area sidewalks were not cleared of snow yesterday afternoon. You can see the side walks were cleared up to a certain point. In today’s editorial, LNP – Always Lancaster criticizes the obfuscation and lack of transparency of our elected public servants in the Pennsylvania Senate. These fine folk are interviewing candidates for an “an impending judicial vacancy on the county’s Court of Common Pleas” and “do not intend to release the names of the applicants ‘out of respect for those who contacted them.’” We’re shaking our heads, and in a democracy, too.